There are many reputable companies that do this kind of work, finding the right one for your home maintenance could be a bit tricky. If you have friends in the neighborhood that can recommend a reliable company, then half the battle is won. Hiring a well-known company is better than hiring an individual who make promises that they do not keep, at least with a company you will know where to find them and you will have a written contract in the event that anything goes wrong. Trust, is the most important thing. You will be allowing strangers into your home when you are away, all your personal belongings are at risk and that is why you need to have someone responsible and a contract which will hold the company liable if anything goes missing. Apart from worrying about your belongings, you will also have to trust that they will perform the duties that you have mutually agreed on. Secondly make sure you get what you pay for. Usually maintenance and property managers have a list of duties they perform and state how often these duties will be performed. You do not want to arrive expectantly and find that nothing has been done for months! Or, find your pool green and filthy because it was not specified in the maintenance contract. Make sure that you cover all your bases, and get what you pay for. If you are lucky enough to be living near the sea, in Ayia Napa, Limassol, Paphos or Larnaca, this will come with its own challenges. The humidity from the sea can cause damage and your home will need to be opened and aired often to avoid humidity in the house. Cyprus has quite a high calcium build up in the water, so opening the taps and flushing the toilets on a regular basis will prevent damage to your pipes and taps. Appliances like washing machines and dishwashers should also not be left unused for months on end. If you are away for an extended period of time, ask the maintenance company to run an empty cycle just to keep the appliances in good working order. It is also a good idea to leave all your appliances with the doors open to avoid damp and mold from forming internally. The interior of the house will need an occasional dusting and moping but most importantly the whole house will need to be cleaned from top to bottom just before it is to be occupied, whether this will be by you or others, which you have given permission to stay in your home. If you have a garden and pool, these need to be taken care of on a bi-weekly basis and maybe more often, depending on the size of the outdoor area and its location. Maintaining the pool at its best is very important and in order to do this you will need someone reliable to add the correct chemicals and keep the pool clean at all times. The garden will need some attention as well, cutting back bushes and keeping the plants growing by making sure they are watered regularly is another concern. You might have automatic sprinklers fitted, but you will still need someone to make sure they are working at optimum level. There might be an electrical outage which will require the watering system to be reset, so you need to make sure that the people who are maintaining your garden keep checking that the garden is watered and know what to do in the event that the system needs resetting. All homes have their fair share of wear and tear, and it is very likely that you will need things repaired or replaced. It could be something simple like the lock on the door, or maybe one of the air conditioning units stop working, whatever the case, you will need to have a handy man to make sure that everything is kept in working order. Most of the property maintenance companies undertake to fix things around the house, just make sure that they have qualified and experienced people. If things need to be fixed or replaced you will need invoices and receipts so you can keep track of what you paid for. For larger problems like the motor of the swimming pool for instance, or something large that needs replacing ask whoever is taking care of your property to get a few quotes from reliable companies before they undertake to fix the problem. In this day and age with the internet it is easy to be kept in the loop and know what is going on with your investment in Cyprus while you are away. If you are living in a complex or gated community, then there must be a levy that you will be paying every month for the upkeep of the communal areas and the swimming pool so you will at least have peace of mind regarding the exterior of your home. Neighbors could keep an eye on your property, and always make sure that they have your contact details when you are away. For the inside of your home you could organize for a company to clean and prepare your home for your arrival. When you have good neighbors they will also be willing to open up your house and make sure that everything is okay from time to time. Renting out your property when you are away? If you rent out your home to holiday makers when you are abroad, then you will have need to reach an understanding with the maintenance company to clean the house thoroughly every time the house is used and before new tenants arrive. This will also include changing and washing sheets and towels and setting up the house for the new arrivals. This will involve a key holding service as there needs to be someone on the ground in Cyprus to hand over the keys and collect every time someone arrives and vacates the premises. A well maintained home will be easier to rent and command a higher price. Keep your investment in the best shape for your family and guests and in the long run you will reap the benefits. It makes sense to spend a little every year to maintain your home rather than having to spend thousands in the long run when things get out of hand. Look after your investment and you will reap the benefits in the long run. 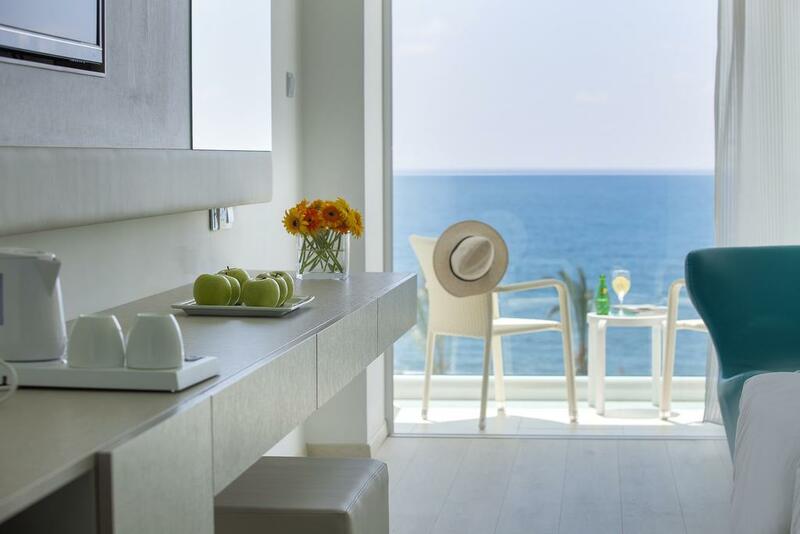 Enjoy your stay on the beautiful island of Cyprus and keep on returning to a clean and well maintained home.